I enjoyed reading Bruce Kasanoff's (@brucekasanoff) ebook "How To Self-Promote Without Being a Jerk." When I first saw the title, I was afraid that I might be "that jerk" since I've been trying to build my personal brand with blog posts and sharing what I consider to be "information of value" with my personal network as I strive to find my next full-time engagement or clients who have problems that I can help them solve. Bruce shares 48 different points, all good, but some resonated more with me than others. Think how you can help every person you come into contact with. This is great advice regardless of where you are in your life and what you do for a living. I've found this to be tremendously beneficial while searching for work and clients. Introduce others -- think about how people you meet can benefit from the people you know. Introduce good people to other good people. When people connect, good things happen (this may have been a tagline?). Give away good ideas. This is the basis of content marketing. Doing so builds awareness, credbility, trust, more contacts and more people interested in what you have to say. Start small. I've certainly done that from my LinkedIn network to learning social media channels. I'm very comfortable with LinkedIn. I'm learning Twitter. I'm not sure I see the value of Facebook -- for me. Be trustworthy. My personal mantra is, "Do what you say you'll do when you say you'll do it." Not many people, especially in marketing, are able to live up to this. Be there in tough times. You remember the people who stand by your side when you need them most. Be someone friends, family and colleagues can trust to be there when you need them. Minimize the trivial. Be relevant. Only tell people what they need to know, and you need to communicate, to accomplish you goal. Everyone is busy. Get to the point. And please, don't "cc all." Use a lot more pictures. I need to work on this. I'm not proficient designing things online; however, future presentations and speaking engagements will be loaded with pictures. Travel in new circles. Meet interesting people. Expose yourself to new ideas. Let random events push you in fresh directions. Get out of your comfort zone. Really listen. I call this "listening intensely." It involves being present and interested in what people are saying. I have been very successful using this technique in one-on-one interviews with respondents, be it customers, prospects, channel partners or management team members, to obtain insights that can make a dramatic positive impact on the business. As I said, all of Bruce's ideas are thought-provoking and I urge you to read the book. Thanks to The EXPERTS Bench for hosting a webinar (#30wte) with Adrian Chang of Eloqua (@adrianchang), Kelly Jo Horton of Marketo (@kellyjohorton) and Tony Tissot of etrigue (@tonytisson). Tony started the discussion by answering the question, "What do we know now that we didn't know three years ago?" It's important to get started, that's the only way you'll learn. Don't wait to collect data. As someone who has been using analytics to curate insights, I know it's important to have a repository of data so you can analyze trends over time. Track the activity of everyone visiting your site. Learn what's working, what isn't and fix it. Build a digital biography of your visitors: personas, digital journey, social media activity, tradeshow attendance. The more you know, the better able you are to develop relevant and timely communications. The amount of technology we have to deal with and integrate. The amount of data we have to collect and assimilate. All the social media channels where you and your customers can live and interact. Kelly Jo strongly believes there's no excuse for "batch and blast" emails given how much we have the opportunity to know about our prospects and customers. If you and your firm are not sending targeted, customized email you're being lazy and telling your customers you don't care about them or their individual needs and wants. The culture of the team should be to constantly monitor and course correct based on the real-time data you are collecting from all of your efforts. Everyone thougth the operations/producer role was important to maintain harmony between the people, the processes and the project management. The producer is a visionary that's been in the trenches who will ensure everything is integrated and works together. Everyone on the team needs to know the customer and specialize around them. This is especially true in regulated industries. I will be sending my resume to each of the participants. You can outsource anything to third parties, except personas. If you help with marketing automation, especially if you need a producer, let me know. I just had the opportunity to attend a compelling presentation by Heather Hollick on "The Networking Mindset." Heather is a dynamic presenter. In addition to being a brilliant mathematician, Heather has studied how networks develop and work throughout her professional career. Introverts and extraverts network very differently. If you don't know something about an extravert, you haven't been listening. If you don't know something about an introvert, you haven't asked. Research shows the most successful careers are developed by paying attention to: 70% on the job experience; 20% relationships with others; and, 10% education, including what you've learned and how you've applied what you've learned. Approach people with the thought of how you can help, or provide value, to them. Strengthen links by reaching out just to check-in or say hello even if you don't have any information of value for the person. Networking is a constant exchange of favors and information. Who do I know that can help you with what you are working on? What do I know that can help you with what you are working on? As Zig Ziglar said, "If you help enough people get what they want, you will get what you want." By the way, Heather has a workshop coming up in the Raleigh-Durham area on December 5. Click here to register. 83% of top marketing executives are receptive to the idea that custom content should be an integral part of every marketing plan. 84% say content marketing represents the future of marketing. Custom content accounts for more than 20% of the average marketing budget. 40% of marketers said producing engaging content was their biggest content marketing challenge. 20% said they were concerned about creating enough content. Finding content and fulfilling a commitment to producing and distributing it is difficult at best. As marketers, we need to do a better job of explaining the value of content to the rest of the organization. As the CMO, V.P. or director of marketing, I want to establish my company as a thought-leader in the industry and the developers and providers of the content as rock stars. I want to earn the trust of prospective customers. I want prospective customers to look to us when they have a question about our specialty. In order to do this, I need content. Nothing proprietary, but information of interest and value. Give me presentations you've made, case studies, a few minutes for an interview or shoot a short-video talking about our latest and greatest product and service. Once you've given me content, I'll produce a press release, a blog post, social media posts, white papers, video blogs and other forms of communication that will reach our customers and prospects, let them know we are interested in providing information of value, earning their trust and their business. I'll also add the content to our website to improve SEO. Wouldn't it be great if 1,000 prospects saw your presentation on the "Sustainability of Onsite Wastewater Treatment Systems" in addition to the 70 people you presented to in Mississauga? This, in turn, will help establish awareness of you and the firm. Prospects will be more open to meeting with you and will look to your firm when they want more information about the topic(s) for which you are experts. What do you do to encourage the sharing of content with marketing within your company? Thanks to Peter Shankman, Stacey Acevero and Vocus for a great webinar today on "Nice Brands Finish First." I urge you to watch the webinar when you have 45 minutes, Peter is a GREAT speaker and storyteller. Peter would probably be happier if you bought his new book Nice Companies Finish First. Peter shares some wonderful examples of companies that have provided outstanding customer experiences and have been rewarded royally in media coverage and in incremental business as a result of their efforts. "Focus on the customers you have to get the customers you want." Instead of spending 80% of your marketing budget on getting new customers, how about spending 80% of your marketing budget making your current customers happy and they'll help you get plenty of new customers. "The current norm for level of service is 'crap.' Treat customers better than the norm." Shouldn't it be easy to deliver better than crappy service? If not, why are you in business? "Think about how to get your customers more involved with your brand." Give them a behind the scenes look at how things work. Ask them what they'd like to know more about your business. The more you get your customers involved in your brand, the more emotionally connected to your brand they will be. "It's nice to give away money. It's better to give away an outstanding customer experience." Customers will remember an outstanding customer experience and will tell others about it. "No brand has ever gone wrong giving someone an incredible experience." How can you give your customers an incredible experience? Don't know, ask your customer facing employees for their ideas. "P.R. no longer stands for public relations. P.R. now stands for personal recommendations." Personal recommendations are gold. 85% of consumers trust the word of their friends and family. 70% of consumers trust the word of people online they don't even know. Less than 20% of consumer trust what companies have to say about themselves. "Create amazing experiences. This is the new currency" for driving customer satisfaction. "Empower your employees to do nice things." Don't restrict your employees from creating amazing experiences. Most importantly, recognize them when they do. "Making people smile will drive repeat business." Making your employees smile will encourage your employees to make your customers smile. "Do the right thing because it's the right thing to do, not because it will make you more money." Ultimately, the return on your investment will be ten-fold or more. "Fun shows through in everything you do." Have fun in everything you do and encourage your employees to do the same. Your customers will see it and feel it every time they do business with you and will be more likely to tell their friends about it. You may think these suggestions just apply to B2C businesses. Please don't. B2B clients want to do business with nice companies just as much as you want to. B2B clients are human too. What do you and your company do for your customers that's nice? What could you do for a customer that they would consider amazing? Share this with your employees and get their suggestions. Thanks to Eloqua and their "Grande Guide to the Social CMO" for the following to which I've added my thoughts. 1. Listen. Social media offers a unique window into the lives of colleagues, customers and influencers, but only if you don't "talk over" the opportunity. Adhering to a "listen first" philosophy will help you gain valuable insights and ask meaningful follow-up questions that can result in a mutally-beneficial engagement. This is why we have two ears, two eyes and one mouth. Use them before using your ten fingers. 2. Be authentic. The era of online anonymity is over. Social media demands honest, transparent and authentic participation. Trust comes before a relationship and a relationship comes before a sale. Social networks are human networks; don't be afraid to share reasonable details about your personal life. Write your own blog posts and tweets and empower your employees to do the same on behalf of the company. If you don't trust your employees to represent your company in social media, you're doing yourself and your employees an injustice. 3. Be consistent. Do you and your company have a strategic positioning (what makes you different and better than your competition)? Be consistent in how you present yourself and your company. Your strategic positioning statement is a great place to start. Establish brand guidelines for individual and group participation within your company to ensure a consistent message is being delivered. If it's not being delivered consistently via social media, it's not being delivered consistently to your customers. 4. Be gracious. Recognizing and thanking others are the foundation of any good community on or offline. Whether it's citing a source with a link or publicly cheering a colleague, remember that credit, recognition and sincere appreciation is what turns the wheel. Don't forget to let your customers know you appreciate them, and their feedback and referrals, as well. 5. Disclose. If you produce corporate-relevant content on a social network, it's necessary to disclose your professional affiliation. Failure to disclose will result in a loss of trust which will never be regained and a record of your nondisclosure will be forever on the Internet. 1. Overshare. Don't share confidential information about your company, clients, colleagues, partners, friends or competition. Again, once it's on the internet, it does go away and it affects peoples' lives. 2. Criticize. Don't criticize your company, clients, colleagues, partners or competition. Those who live in glass houses . . .
3. Rumormonger. Don't spread rumors or false information about your company, clients, colleagues, partners, friends or competitors. Be clear about what is fact and what is your opinion. 4. Leak. Don't reveal personal information about any of your colleagues without their permission. This includes posting personal photos or videos on Facebook and YouTube. 5. Falsify. Don't misrepresent yourself or your company. Make sure the content you are creating and the impressions you are leaving are accurate and honest. Advertising and marketing communication is not trusted today. Consumers are four times more likely to trust the word of someone they don't know on the internet than that of a company. People are overwhelmed with information and content and they look for sources of information they can trust. More and more this is people with relevance, objectivity, integrity, authenticity and honesty. Something we should all consider as we interact on the web. What are your "do's" and "don'ts" regarding social media? I read a lot of articles and posts of people questioning the ROI of social media. I find this discouraging and disingenuous. Social media is about creating, and enhancing relationships, not about making sales. People buy products and services, B2B and B2C, from people they know, like and trust. Social media is a great way to meet people, establish a common ground and build trust. Not unlike attending a networking event or professional conference. How many companies are measuring the ROI of their employees' attendance at networking events and conferences? 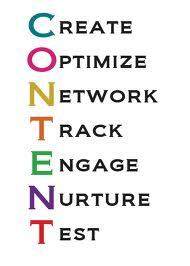 Provide relevant content of value to establish a relationship. Doing so will also establish you, or your firm, as an expert on a particular topic. The internet rewards people who share their knowledge, while it penalizes people who hoard their knowledge. Help prospects and customers solve problems. Monitor social media channels to determine the problems people are having to which you may have the answer or solution. Answer frequently asked questions (FAQs) in blog posts. Deliver a consistent message across all channels. Know where your customers and prospects are congregating online and provide your content to them there. Ensure a consistent presentation of your brand and message with your website and across any channel in which you are providing content. While the tone of the message may vary by channel, the ultimate content should not. If it does, you will confuse your audience -- confusion breeds distrust. Give people a reason to connect with you. By being a credible, consistent source of reliable, and even remarkable, information of value, you become a more trusted resource with whom people want to connect and follow what you have to say. Use social media to build relationships. A relationship goes two ways. Strive to create a dialog whereby you get to know your customer, prospect, channel or referral partner. Determine how you can provide value to each other to create a mutually-beneficial relationship. These five reasons are not easily measured for ROI; however, they are the foundational elements to building a business relationship with someone. How do you measure the ROI of a business relationship? Another great webinar courtesy of Vocus (#vocuswebinar) by Seth Godin (@sethgodin) entitled "No Secrets. No Shortcuts." Implicit in the title is there is no silver bullet, there are no secrets and there are no short cuts to successfully developing, marketing or acclerating sales of a product of service. You must create a product or service that has a meaningful differentiation from competing products. Ideally something remarkable. Your story must be true. Authenticity and transparency are key. If your story is not true, you will be found out and you will be called out on social media. See Amy's Baking Company's social media gaffe that may well end their business. Tell your story to people who want to hear it. People who have already expressed interest in your product or service want to know more. They've "opted-in" to hearing your story. Tell them more to improve your relationship with them and make it sufficiently interesting that they will want to tell their friends. This is how something goes "viral" and is the concept behind inbound marketing. Enhance the relationship with people who have identified themselves as your prospects. What are you making that's worth talking about? What about your product or service is "different and better" than anything else out there. If yours is a "me too" product or service, nobody's going to talk about it. Earn people's permission to engage with them. Permission is the ability to tell truthful, relevant stories to people who want to hear them. The recipient determines what's spam. You must earn the privledge to engage with them. Real permission is when you are missed. This is the emotional connection to the brand for which we ultimately strive. People want "me" mail, not email. Email must be relevant to, and meaningful for, the recipient. If it's not, don't expect it to be read. If you don't provide sufficient value, your emails will end up in the spam folder. The internet takes word-of-mouth and amplies it 1000 times. This allows small and medium-sized enterprises to compete with Fortune 1000 companies, build a following and accelerate sales. "Remarkable" = worth making a remark about. What about your product or service is remarkable? What can you do to make it so? If nothing, is it "different and better?" A tribe is a group of people who are connected and care about each other. Who is your tribe? Everyone wants to feel part of something. Successful brands today grow by connecting consumers to one another. What can you do to create a tribe or a community? We are in the "Connection Economy." Being connected to other people is where we are going after being hammered by mass, unpersonalized, irrelevant media. The four elements of the "Connection Economy" are: 1) coordination of the message across all channels -- consistent, honest, transparent; 2) trust -- people in a tribe trust each other; 3) permission -- people have said they want to engage with you; and, 4) exchange of ideas -- value is created when we share ideas. People don't want to connect with distrustful people or companies -- people and companies that take, but give nothing of value in return. Be relevant, be reliable, be responsive, be real, or be gone. If your ideas spread, you win! Good ideas, that are different, spread quickly. You need to be creative to differentiate yourself and be irreplaceable. Sharing information of value is generous. Be generous, be vulnerable, take ownership. The internet punishes people who hoard information and reward people who share it. Google is a great example. Decide to stand up and make a difference. Do it because it matters. Do it because you can. Do it because others are afraid to make the commitment to be different and better. Make an incredible product that people want to talk about. Faking it is worse than not doing it at all. Be purposeful in noticing what's going on around you. What can you do to solve a problem? To improve the quality of life? To save people time? To make people's lives easier? I believe having an in-depth dialogue with people will help you uncover their needs and wants. The people you are speaking with won't necessarily be able to provide you with exactly what they need, but by listening to enough needs, you can create the solution that benefits a significant segment of people. It also helps to have transparent, authentic and honest leadership who are committed to developing and delivering remarkable products and services in a remarkable way. The commitment must begin at the top if it's going to be executed by empowered employees.